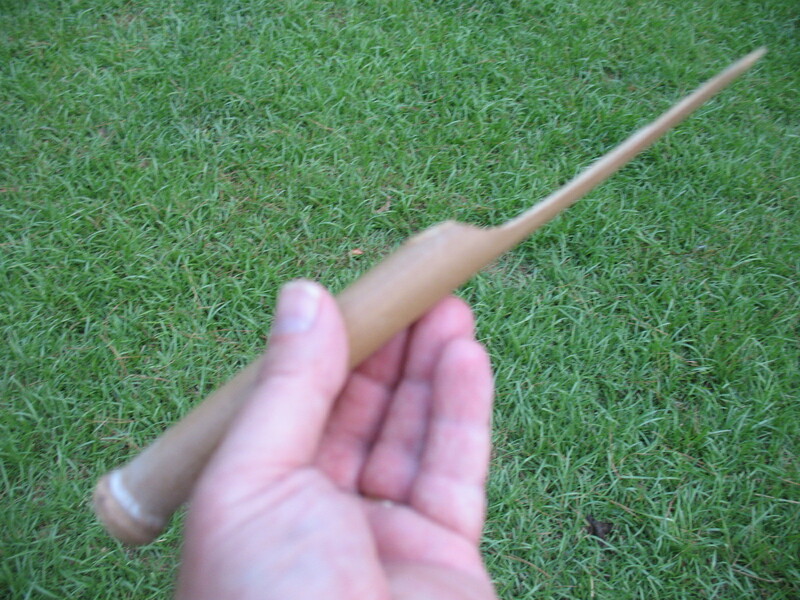 I’m putting the manufacture of the river cane knife and the river cane spear into one post because they are made the same way. The only real difference is that the spear is just bigger and longer than the knife. 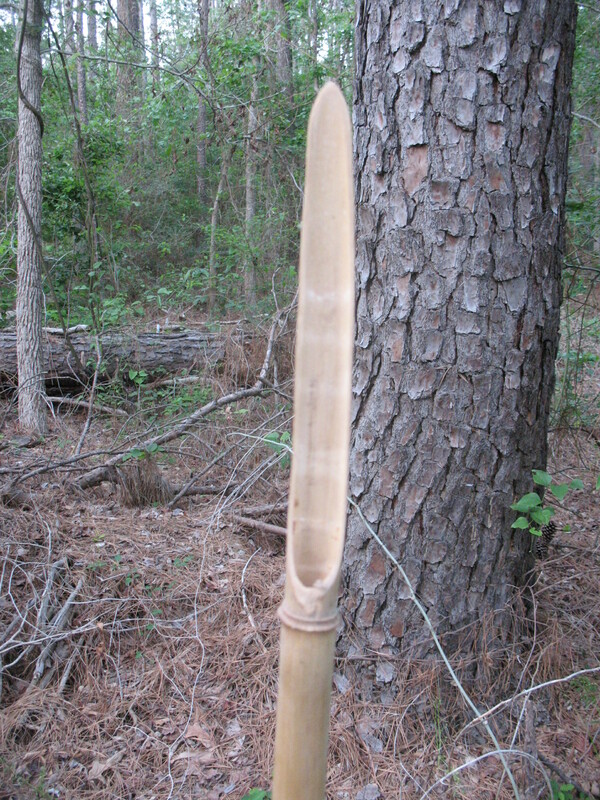 I like to make my cane knives and spears out of river cane. River cane is native to North America. It does not grow as large as bamboo but it has thicker walls and is stronger than bamboo of the same size. If you don’t have access to river cane, bamboo will do. The lighter canes, like switch cane, are too small and thin walled to work for these projects. 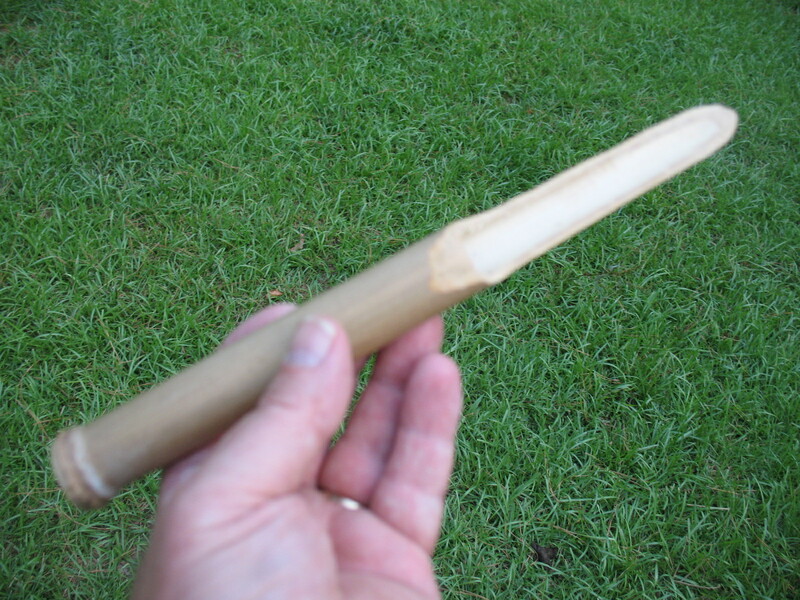 That’s all there is to making a cane knife. The edge of this knife is surprisingly sharp. 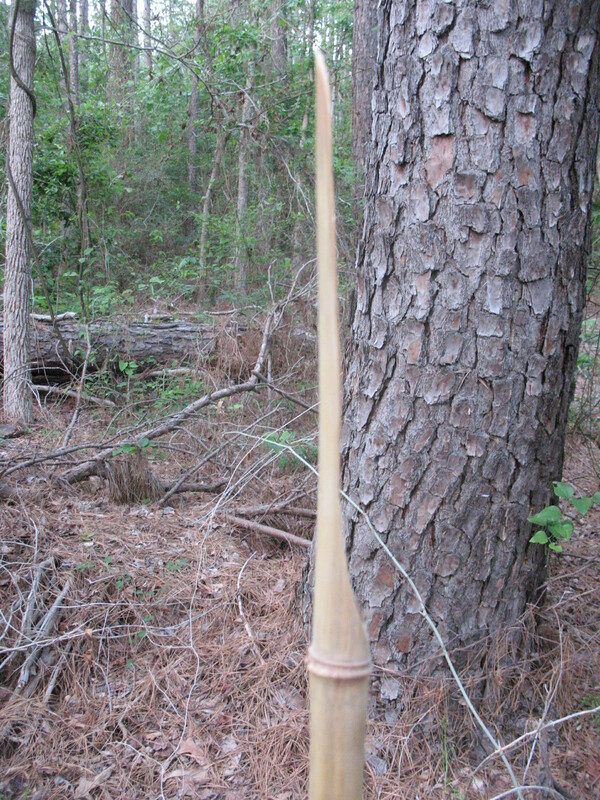 My son was working on a bamboo bow a couple of weeks ago and he accidentally slipped and ran his hand down the edge of the cane. It laid his hand open pretty good. 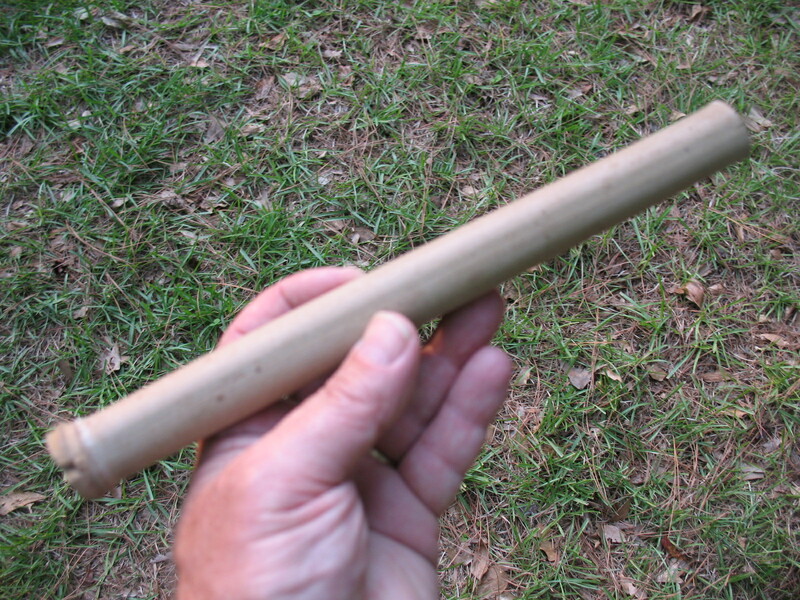 A cane knife won’t cut through bone, but it can easily be used to butcher and slice meat. Don’t give either of these to your kids to play with. They may look like toys, but they can do some serious damage.